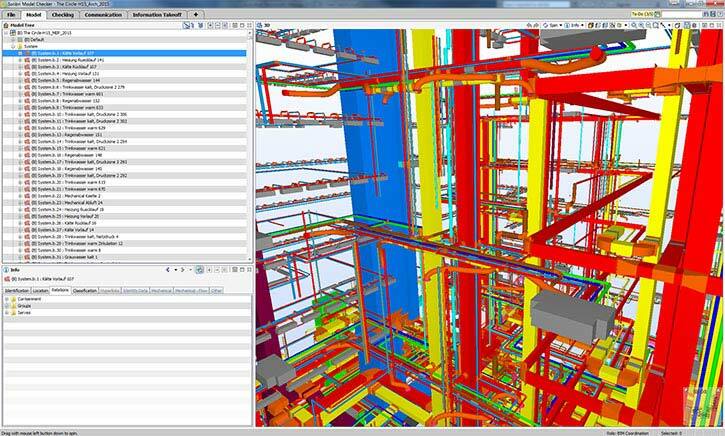 Clash detection compliments/fulfils the robust BIM modeling process to a great extent. BIM modelers when inspect closely, encounter numerous clashes in even the best building construction designs. Architect’s original model is used by other disciplines including structural and MEP engineering etc. to create a model of their own, but independent of others. BIM modeling then moves to clash detection to identify elements of separate models occupying the same space, parameters that are incompatible, or sequence that is out of order in 4D BIM; aka workflow or 4D clashes. Clashes invite design changes; additional costs, cause project delays and a lot more. BIM service providers have proved their worth to construction design firms and design consultants, empowering them to collaborate designs in Navisworks or Revit platform for clash detection and resolution. Irrespective of construction type, may it be residential, commercial or industrial, contractors can now work with clash free BIM models, which ultimately increase their efficiency and reduce overall time and cost. Let’s see three important and crucial clashes that are frequently encountered, what their impact upon construction projects is and how to eliminate them early to stay profitable in long runs. Usually, a rule-based algorithm or semantic algorithm will help the BIM modeler to detect the clashes in geometry which is popularly known as hard clashes. Building elemental clashes, or hard clash, if not resolved during design planning will essentially lead to cascading effects which cannot be undone. Say when an architect has designed an open hall but if the structural engineer ends up putting a column in the middle of that hall, it cannot be changed if realized at construction stage. Even if some the architect is able to design a support structure, in an aesthetic manner, it will take time and construction will be put on a hold. This will cause to have delayed deadlines, materials holding cost, surplus labor charges and much more. Instead, if the designs, architectural and structural plans, are collaborated on a common platform such as Navisworks it will develop insights that this is how the facility will be when constructed. Such an activity essentially gives the foresight to amend the designs either from architectural perspective or design an alternative support structure. 3D BIM-ready models of building construction design will be easy to interpret and perceive. A federated 3D BIM model will clearly show design interference and help eliminate early. Commonly known as the buffer, soft clashes are the issues in design clearance needed for the operational safety and maintenance of the facility. These issues of spatial tolerances are pretty common for MEP discipline and cause a headache to facility managers at later stages. Soft clashes if left unattended cause maintenance problems and safety issues. For example, if a live wire is passing by a plumbing line, there is always a risk of having issues of circuit completion and short-circuit. Although, collaboration in Navisworks will help engineers find and resolve hundreds of soft clashes just through inspection. Eliminating such clashes prior to initiating construction will bring a safe operational stage of the facility. These are of higher importance, particularly in commercial buildings such as malls, shopping centers, airports, healthcare facilities etc. where there is usually a huge influx of people all around the day. It is so because the facility owners cannot afford to shut down the facility every now and then for maintenance purpose and hence they demand to have easy access to every element of the building. In fact nowadays, even residential buildings and townships are being constructed wherein every smallest of the MEP fixture is accessible without no or very little rework. Unlike hard and soft clashes, 4D clashes resulting from scheduling clashes of inter-disciplinary activities turn up to lower the efficiency of the entire construction firm. Since one clash will have its cascading effect to several disciplines, and bring the on-site work to a standstill contractors just cannot afford to encounter 4D clashes and resort to BIM. Developing a 4D construction sequencing timeline in Navisworks will point out the start and end date of each activity and help the contractor schedule the activities accordingly. 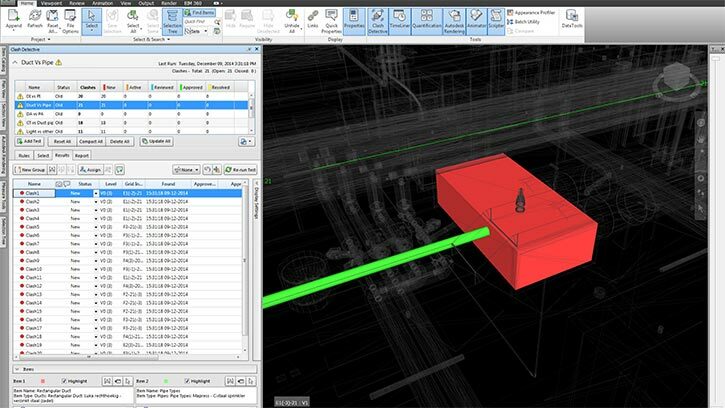 A step-by-step phasing in 4D BIM will eliminate the very possibility of encountering any workflow clash and avoid site downtimes to keep up the man-efficiency of the task force. Wrapping it up, with these different types of BIM clash detection and coordination; one can ensure an error-less, consistent and technical perfect design which can lead to an effective, profitable and reputable construction.